My post about pesto pizza has been pretty popular. And I think I know why. I found out I was selected as one of “Today’s Specials” on Foodpress! I am really honoured! Foodpress is all about the foodies, and I’ve found many great blogs/recipes that way, so check them out if you get a chance. 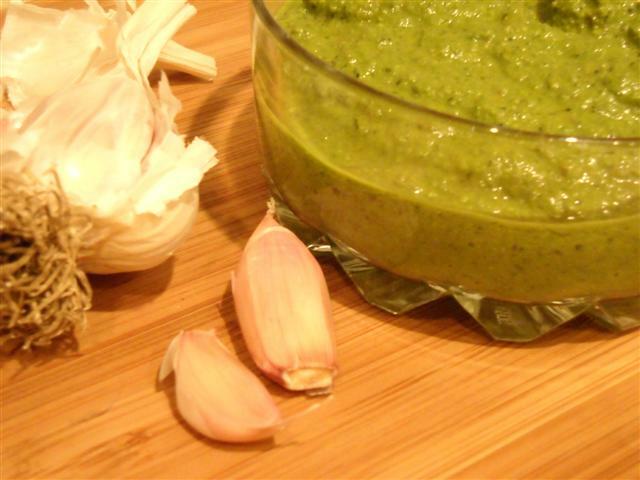 Again, here is the recipe for pesto, and I would like to send this to the “Only Greens” event hosted by Sara and Pari. Pesto is quite a versatile accompaniment. It can be used as a condiment, a sauce for pasta or pizza, slathered on bread, or eaten by the spoonful. Oh, is that last one just me? 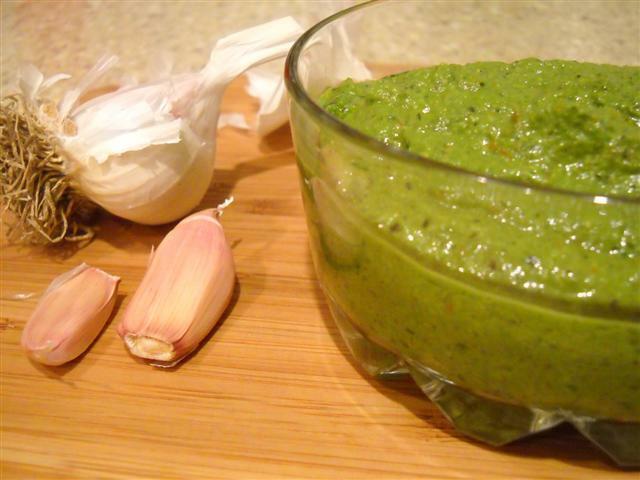 There are also a lot of ways to make pesto. My recipe uses less oil than most and its still delish. Basically, blend everything together, except the olive oil. Once it is mostly smooth, drizzle in the oil while blending if possible, to emulsify (thicken and combine). Leftovers can be stored in the fridge, with a thin layer of oil on top, for a week or so. Also check my recipe for pesto pizza. 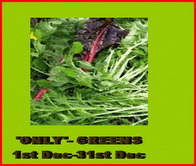 This is my submission to Weekend Herb Blogging hosted this week by Anh.